Running a business, even a web development business, without clear goals is like picking a direction and driving without knowing where you want to go. You can’t know if your destination is a good one or not – you just hope it is. You won’t even know when you get there. Obviously, it’s best to use a map and plan your destination. Setting clear and measurable goals is like having a roadmap that shows you the direction you should go. It helps you plan your trip and your destination. Goals are the fundamental building blocks of your business. Just claiming to have a goal isn’t good enough. How do you really know what your goals are if you don’t even feel the need to write them down? And how do you know if you’ve met your goals if you don’t have them fully defined? Tracking goals motivates much better than just setting the goal. Setting and tracking goals helps keep you and your team focused on what is important. Your individual projects will strengthen your overall business goals. And hey, they can be used for performance evaluations, too. Proper goals are something you can actually complete. You should be able to successfully meet the goals. They should be something you can track to see if you’re on target and they should be something you can measure and accomplish. They should be S.M.A.R.T. To achieve the goal, you have to know what the goal is. It needs to be specific. Don’t try to hit a moving target. That’s neither smart nor healthy for business growth. Write down the specific target, why you chose it as a target, and what you’re going to do to get there. “Get more clients” isn’t a specific goal and it doesn’t help you figure out how to reach the goal. “Get one new client per week” (or whatever is realistic to your business and workload) will help you figure out what to do to meet the goal, which better allows you to track your progress. A goal should identify what, why, who, where, and which. The only way you’re going to really know that you’re on track is to measure your progress. You can’t measure your progress if the goal itself is not measureable. You can even break it down onto smaller goals, or milestones, which you can then measure individually. A goal should identify how much, how many, and when it is accomplished. You should actually be able to reach your goal. That doesn’t mean it should be easy. This is a tough one because what is attainable by one person isn’t necessarily attainable by another. In order to set a goal that is attainable, you have to know what you’re capable of. This should challenge and develop your attitude, abilities, and your skillset. The goal should identify how it will be accomplished and what the constraints might be. Goals should also be relevant to the growth of your business. Your goals should be a priority. If a goal isn’t relevant, it won’t be a priority. Your priorities will drive you, your team, and your company. The goal should identify why it is worthwhile, why it is the right time, how it matches your company’s direction, how it will affect you, and how it will affect others. The only way you can really measure the goal is to have a time frame to measure against. This is done by giving each goal a specific, and attainable, due date. If it’s not bound by time it will be too easy to let other things take up your time. You will only work on putting out fires and never work on removing what causes those fires. It should be something that can be completed in a certain number of days, weeks, or months, and should be realistic. The goal needs to identify a specific date that it should be completed. Goals must be planned, written, and tracked. Goals should be hard, but not too hard. They should stretch you, make you better, and make you grow. They should drive your business into the direction you need it to go. When most people think of goals they think of money or traffic (which in turn equals money). Goals are usually based around growth, however, there is more to business growth than monetary gain. There is also growth in knowledge, leadership, community, etc. To set goals as a web developer, think about what is important to your business. 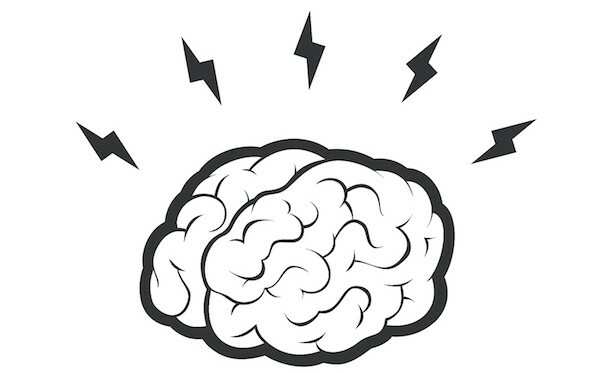 Think about things such as new tools, new skills, new team members, new connections, etc. What goals and categories will further develop your web development business and team? Think of the goals for your business. From there you can make goals for yourself and your team members. This ensures that individual team member goals will align your team’s activities to your business goals. Here are a few examples to get you started. I’ve contrasted bad and good to show you what not to do. Bad – I want more clients. Good – Add 2 new clients per month. Bad – more newsletter subscribers. Good – 1500 new subscribers within the next 12 months. Bad – make new contacts. Good – make 10 new contacts on LinkedIn per month. Good – Increase traffic by 50% in the next 6 months. Good – Increase sales by 20% by dd/mm/yy. Good – Take ___ course to learn ___ by dd/mm/yy. Goals should include items that affect all areas of your business including financial, personal development, business strategy, quality, etc. How many goals you have depends on your company. 8-10 goals for a 12 month period should be fine. You can also set your goals for every 3-6 months. After trying one method you might need to make adjustments to better suit your company’s needs. You don’t want to create so few goals that they don’t impact your business, or so many goals that you can’t meet them. They should include both long term and short term goals. Once you’ve created your goals, develop a plan to show how you will accomplish them. Managing your goals is just like managing any project. A good goal management system will also let you track milestones for each goal and alert you of your progress. Here is a list of tracking methods and tools to help keep you moving in the right direction. Spreadsheets are great tools for tracking your goals and objectives. You can make your own or you can use a goal-tracking template. Spreadsheets are easy to handle and share with others and they’re portable. It might take some extra effort to make it exactly what you need it to be, but it’ll be more than worth it. Plugins are great for managing your web development projects (the smaller goals that make up your larger goals). 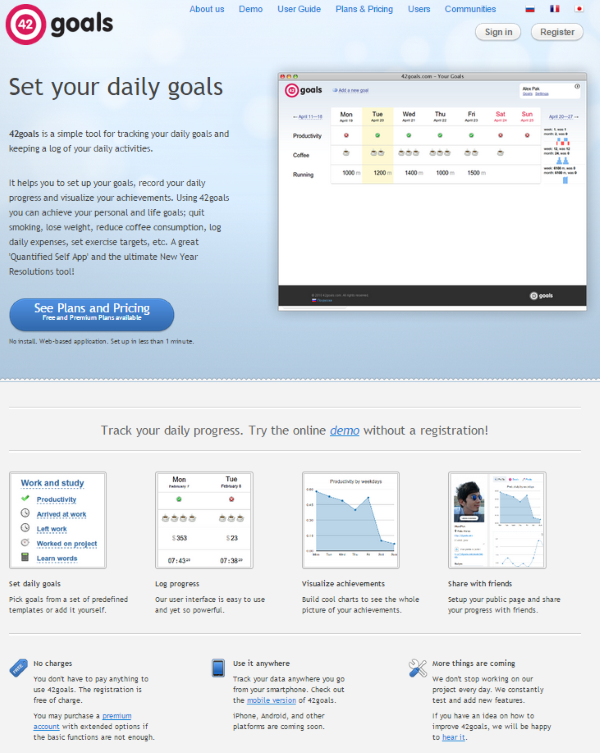 You can also track your goals with plugins. 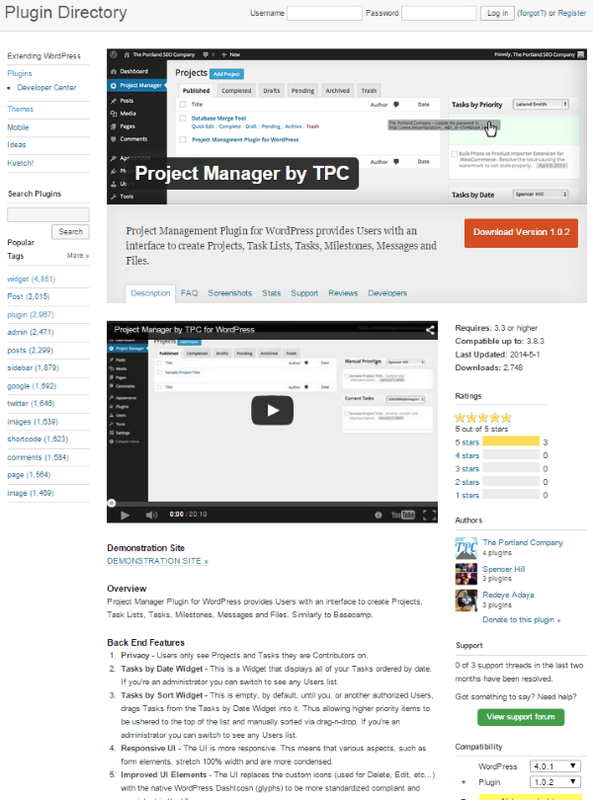 You can create a table within WordPress, or you can track your goals as a project. Here are a few plugins that help you track your goals within WordPress. 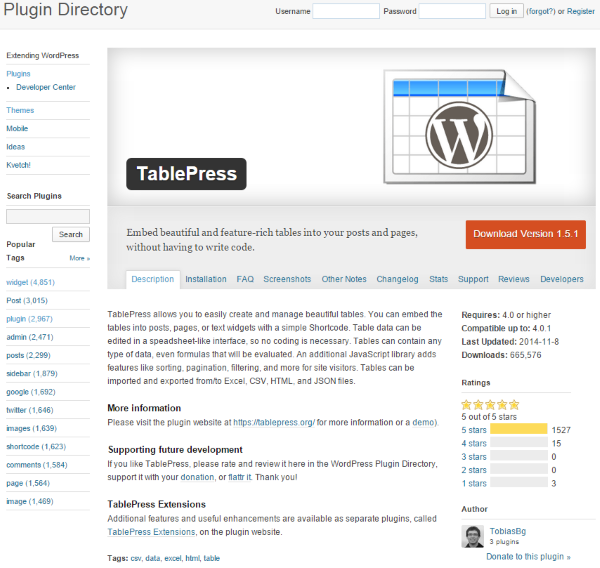 What’s so interesting about creating tables with this free plugin is what you can do with them. The table can be edited like a spreadsheet. Even better, the cells can contain any kind of data: text, formulas, etc. Using an add-on you can add sorting, pagination, filtering, etc. Tables can be imported and exported from Excel, CSV, HTML, and JSON files. 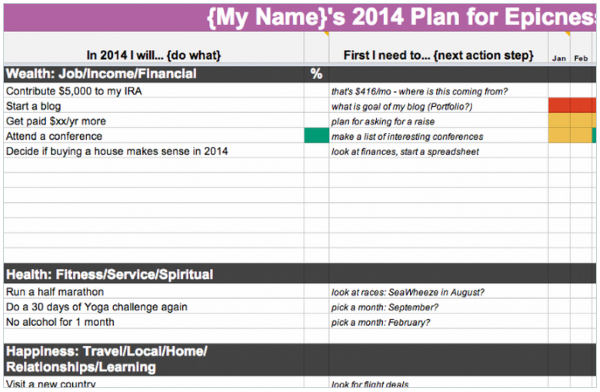 With this plugin you can create your goals just like you would in a regular spreadsheet. This is a good choice if you’re not looking for advanced features such as graphing. This plugin has both a free and a premium edition. It allows you to create projects, set milestones, track progress, to-do lists, assign due dates, and send messages to your team members. The premium edition adds project permissions, archive projects, project template, privacy (in message, to-do, and milestone), my tasks and user assigned tasks, project categories, filter by category, minimum project creation role, calendar overview, forum support, and projects in the front end. A single site is $59, 5 sites is $99, and unlimited sites is $199 (which also adds priority support and free add-ons). 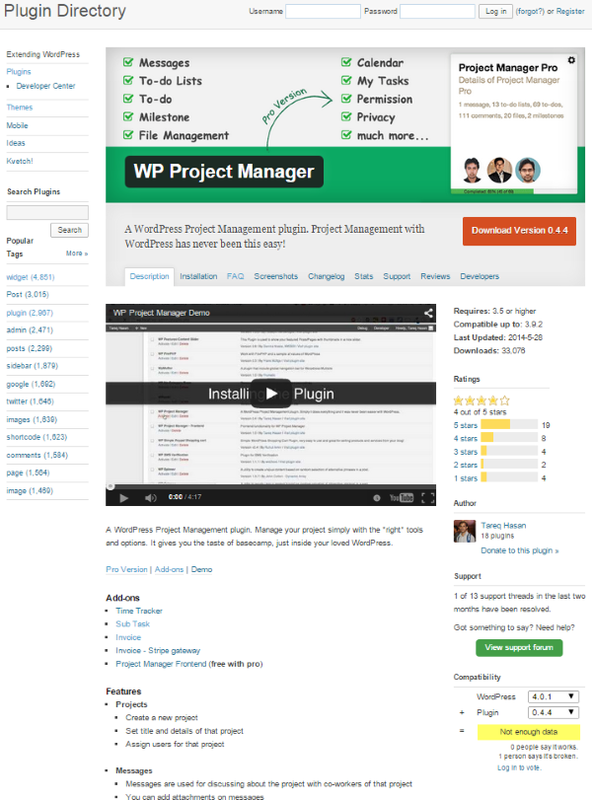 This free plugin provides an interface where users can see projects they are contributors for. This will let you track regular projects, such as on a customer basis, and personal goals, such as yearly goals. You can create projects, tasks, lists, milestones, messages, and more. It can also send notifications by email. A better way to track your goals with all the bells and whistles is to use online apps. There are many apps available online to help you set and keep track of goals and projects. Some focus on setting life-goals and making good habits, while others are more business-based. I think the best apps would include some of both, because building good habits helps you build a good business. Good tools should include the ability to set goals with milestones, set tasks, and track your habits. Some track your own goals, while others help you track goals for your entire team. Here is a short list of some of the many apps that I found useful for these needs. It has a built in mechanism for motivation. It links your actions to your sub-goals and overall goals so you can graphically see your progress. The idea behind this is that it would spark you into a self-motivation and success achieving cycle, which will propel you to achieve your goals. You can also track your habits. Good habits drive success. By tracking your habits you will know what you’re doing right and wrong and make the needed changes in order to meet your goals. It will show you the strength of your habits and how much longer it will take to develop them. This is a very interesting feature that’s not usually available in goal-setting apps. You can track your goals over the web or on the go with a mobile app for your smartphone or tablet. GoalsOnTrack has a membership fee of $68 per year. It includes unlimited access to the web app, unlimited goals, tasks, habits, journal entries, and more. Your journal content is encrypted and your data is backed up daily. You get all upgrades and future add-ons. It includes free technical support. As a bonus, you get five free e-books on success and motivation. This one lets you set goals and tasks that follow the S.M.A.R.T. goal criteria. You can set what the goals are and how they will be tracked. You can create reminders for each task. It records every action in a journal that you can use to see your activity. You can also see your activity in charts and reports. The graphs make it easy to see your progress at a glance. There are widgets that you can place and arrange any way you want. They show information such as your charts and motivations. You can also create goals with colleagues and friends. This is a great way to set goals for team members and track their progress. LifeTick is a premium service. For personal use it’s $49 per year. There are 7 plans for business use starting at $14 per month for 5 clients with 1 coach, $29 per month for 12 clients and 3 coaches, and it continues to double until you get to the $299 per month plan for 500 clients and 100 coaches. 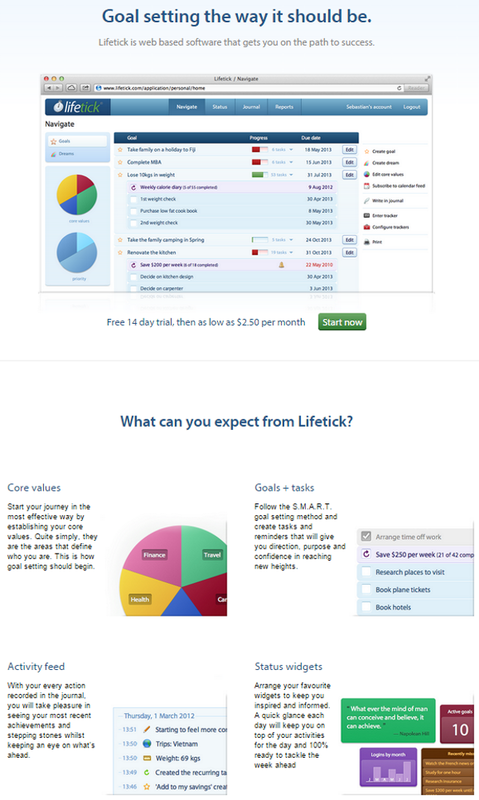 This is a web-based tool for tracking your daily goals and activities. You can set your goals by using templates or you can design your own. You can see your progress as a chart. You can set up a page so you can share your goals with friends and colleagues and it runs on desktop and mobile systems. You can set the goal, set a plan for the goal, and then see statistics about your progress. You can also set up each goal as a tab and then set individual projects within each goal. You can track each project independently. It will track the time you’ve spent on each project and you can see an individual chart for each one. You can view individual tabs or all goals at once. For statistics you can choose from four different types of charts by simply clicking on them. This is a very easy and intuitive system to use. 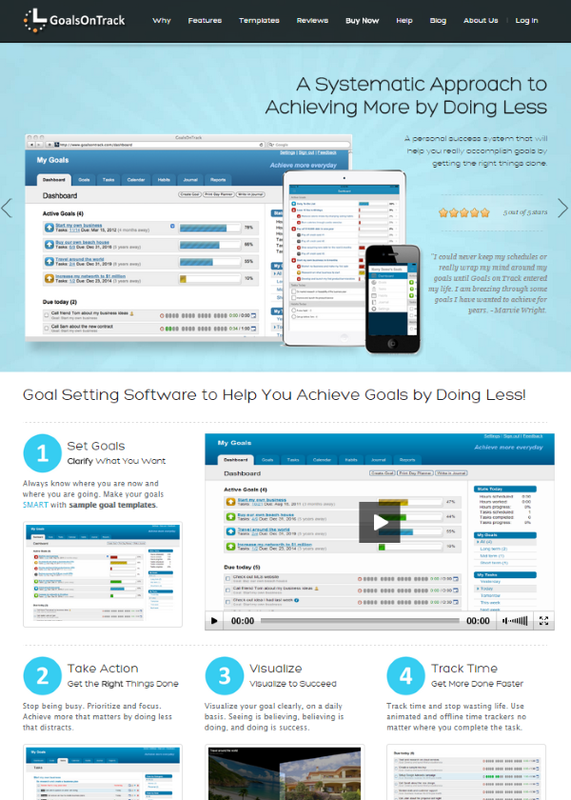 The online demo shows how easy it is to set up and track any goal. Stepping through the demo is a snap. There is a free and premium edition available. The Free edition does basic goal-setting and includes numeric, counter, Boolean, and time goal types. The Premium edition is $5 per month and it adds stopwatch as an advanced goal type. It also adds group goals by tab, export as CSV, and email support. The Corporate edition adds these features for your entire company. You must contact the company for pricing. 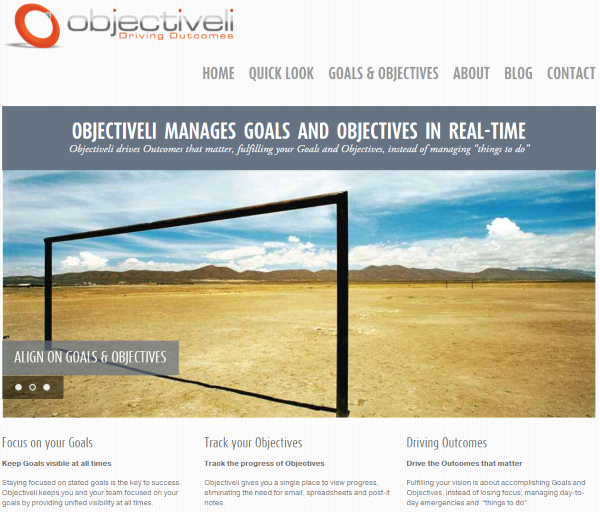 Objectiveli is a web-based app that lets you manage your goals and objectives in real time from a simple interface. It’s made for individuals and teams and has a strong team focus. It allows you to track your objectives separately from goals (most don’t go this far into goal-setting and is a nice feature). You can also set milestones for each goal. You can track goals, objectives, milestones, and updates. Plus, you can also see how your goals affect your stakeholders. Objectives can be cascading. This is a great way to drive outcomes. You must contact the company for pricing. This one has goal-setting for any kind of goal including business, health, financial, relationships, habits, and more. You name your goal, describe what you want to achieve, set it as a top goal for the year (you can have 3 top goals max), determine how your life will change (drop-down box includes relationships, business, health, lifestyle, finances, family, other), explain why it is important and what happens if you fail (you can include a photo for motivation), set milestones, set a due date, choose to let everyone see it or keep it private, and send reminder emails at times you choose. You can even use a template if you want. One of the coolest features (as if all of that wasn’t cool enough) is the “Buddy” part of Goal-Buddy. You can find buddies to share your goals with. This is great for web developers that usually work alone as it gives you the ability to get a friend to help keep you motivated and stay focused. Goal-Buddy will give you the tools to help you define your goals, establish new habits, create tasks, manage tasks, smart review, and find buddies. You can export your calendar. 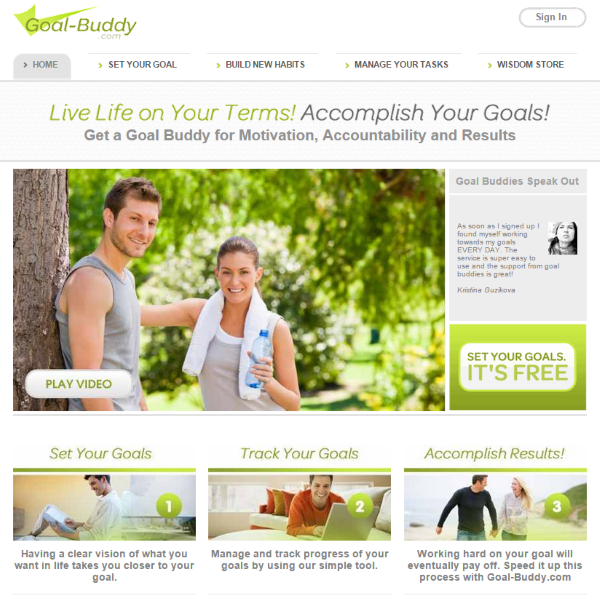 Goal-Buddy is free to use and can be accessed over the web and your mobile devices. Setting and tracking goals is important to the success of any business. By setting and tracking goals you have the tools to stay focused and push your company forward. It will ensure that your business gets the attention where and when it needs it and it will strengthen your team at the same time. Do you set and track goals? Do you use a goal system like one I described here? Did I leave out your favorite? I’d like to hear about it in the comments below! This is a useful post. Thank you for sharing. Thank you for this timely post. I saved it in my Evernote account study it in more detail. Thanks for sharing my goals template, Brenda. Tons of great resources in this post! Nice article. Looking for a way to implement it. It’s not because the tools are available, that it will be ok. It demands a specific effort to objectivise the goals and write them down. That is the real job. Very helpful article, thanks for sharing the useful apps. Excellent post, many interesting facts to think of. Great article, Brenda! However, the only thing that stopped me from sharing this article was the title. I wish it was more generic, without mentioning WordPress Web Designers. Which one do you use, Brenda? I’m still on the hunt for the “perfect” solution for my business, Michael. I do currently use Trello for project management, however. I need to thank you for this blog! I have learnt so much. So my goals have been a little on the bad side now I can be more specific. Thanks also for the great links, love the face that you have given us links to credible apps and pluggins. Thank you, great work!